“Hey…I can do my own moving. No problem! What’s the worst that could happen?” Well, a strained back, slipped disc, broken fingers, pulled ligaments, and assorted bumps and bruises to start. Moving requires the constant lifting and carrying off heavy objects for an extended period of time. This is the very definition of the word. The description of moving should be enough to tell you that there is some inherent danger involved in the practice. Lifting objects that are too heavy; slippery floors; precarious trips down the stairs; hazardous items; increasing fatigue; poorly packed items falling over in trucks; there are an infinite number of ways to be injured while moving. But, year after year, people try and save a few bucks with do-it-yourself moving. If you insist on moving yourself, at least be careful. Don’t be a hero and try to handle that giant, flat screen TV set by on your own. In a worst case scenario, you will end up with a sore back and a smashed TV. Even if you succeed, your feats of strength will only impress children. Basically, ask for help. Don’t try and do something you can’t handle. There is no upside and plenty of downside. It’s the oldest piece of advice when moving something heavy because it is fundamentally true. When lifting, squat down to pick it up as opposed to bending at the waist. This way, your legs will absorb much of the weight. A strained back can take months to recover from. Under any circumstances, do NOT wear regular shoes or sandals while moving heavy furniture. You are going to need something that will protect your hands and feet while during the move. Wear steel-toed boots; this will protect your toes if something is dropped on them. As well, any boots you wear should have a grip so you can avoid slipping. Hiking boots can usually make good boots for moving. As for your hands, you can buy special moving gloves that will protect your hands from cuts and scrapes as well as be providing more gripping power. Just because you are making it a DIY move, it doesn’t mean you will not incur costs. Depending on the size of the move, you may need to purchase (or rent) specialized equipment including dollies, shoulder slings, and furniture padding. Professional movers already have these items; you will need to find them elsewhere. Before starting the move, make sure to clear all hallways and paths of potential obstacles and tripping hazards. Inspect the area outside of the home to look for uneven sidewalks or small hills. Move anything that might cause an accident out of the way. During a DIY move, children and pets being underfoot can be a real risk to them and those moving the furniture. Leave children with friends or family for the day and possible board your pets or leave them with plenty of water in an undisturbed room. Have all the essential including water, a First Aid kit, and anything else that you might need in an emergency. Yes, a professional moving company will cost you some money, but think about what you are paying for: someone who can responsibly and carefully move your valuables which will allow you to focus on all the other tasks involved with moving. 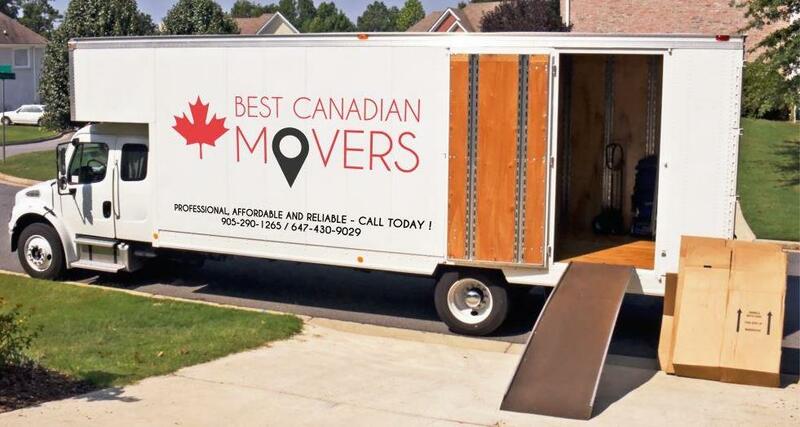 But, if you are going to go with the professionals, go with a moving company you can trust, Best Canadian Movers. Operating in Toronto, Brampton, and the entire Greater Toronto Area for twenty years, Best Canadian Movers offers premier moving and storage services. Fully licensed, bonded and insured, you are guaranteed to get exactly what you ordered. Contact us today for more information.